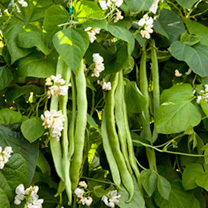 Produces high yields of delicious, top quality, stringless, fleshy pods. Shows resistance to Bean Common Mosaic Virus. Harvest from July. Crops 12-16 weeks from sowing. Tasty, nutritious and easy to grow! Try varieties with different flower colours for a ‘wall of colour’. 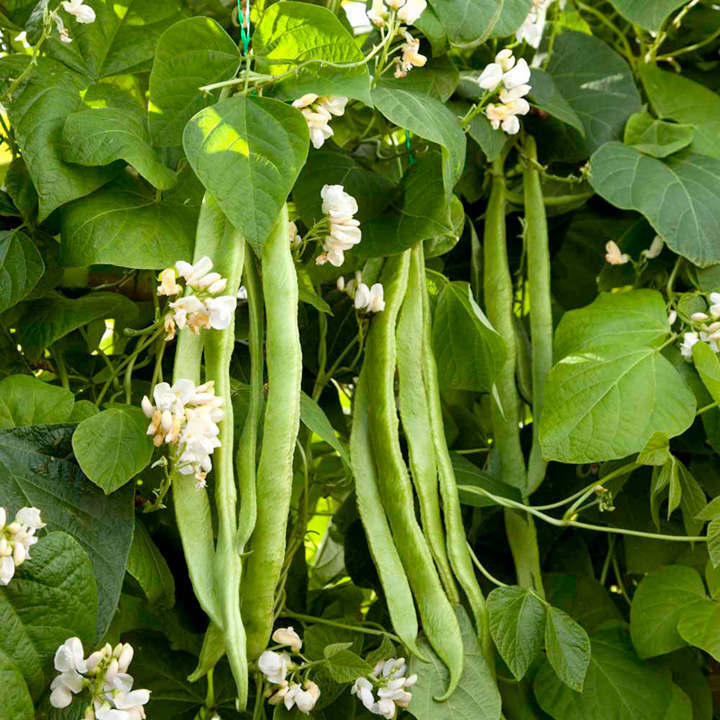 Recent research suggests that evening watering of the roots increases pod set and subsequent cropping. Sow under cover in April for early crops, planting out in late May. For early crops sown outdoors, protect with fleece or cloches to warm the soil and protect the young plants. For tall types in rows, sow outside 5–7.5cm (2–3") deep, spacing seeds 15cm (6”) apart in double rows 45cm (18”) apart. Allow a further 1.5m (5’) between double rows. (Alternatively if space is limited, sow in circles and grow up canes in a ‘wigwam’ format.) Insert long cane supports or netting soon after germination/planting. Plants will reach a height of 1.8–2.1m (6–7’). Ideal for beds and borders. HEALTH BENEFITS: Good levels of vitamin C, folate and iron together with fibre. CULINARY TIPS: Steam or boil for less than 3 minutes to preserve vitamins. Many varieties ideal for freezing.